Samanah Duran is the founder of Critics Clothing, a premium streetwear brand, and was recently named one of the Forbes 30 under 30 – an amazing achievement. With her fashion brand going from strength from strength, we spoke to her about her business journey and achieving business success at a young age. For most entrepreneurs out there - myself included - Forbes 30 under 30 is a pretty big one to hit, and its super amazing to be nominated. To be recognised as being influential within the retail and e-commerce sector is something I will remain proud of. I don't think I really ever thought Critics Clothing would expand and grow as much as it has now - but I am fully aware that I am a very all or nothing person, so running a business was never going to be something I would do half-heartedly. It wasn't that it was a lifelong dream of mine to be a fashion designer or to be even in the fashion industry. However, I always loved the ideology of building a brand based on my own personal ethos and beliefs that people can really connect and resonate with. I knew I had no intention to work for someone my entire life, and I knew I wanted to build my own empire from a young age, mostly because I was never too keen on taking direction from people and I have a sense of business acumen. I wasn't a troublesome kid when I was younger, but I just wasn't particularly serious about anything unless it involved me being in charge, being happy and earning money. Growing up, I did many jobs and started a lot of side hustles, like most entrepreneurs do! It wasn't until I moved to London at 20 that I figured it would a great idea to pursue a TV presenting career, which led to me travelling to the West Coast of the USA to present a car rally. It was also on this rally that I came across a Quetzal feather, similar to that of the Mayan and Aztec culture. I was so intrigued by this, and learned that for many centuries the Resplendent Quetzal dominated the traditions and beliefs of the Maya and Aztec Indians of Central America. Quetzalcoatl, the cultural force for good for both Mayas and Aztecs, was symbolised by the head of a serpent adorned with the feathers of a Resplendent Quetzal. The Headdress made symbolised respect, royalty and strong sense of empowerment amongst tribal members. Therefore powerful rulers in both cultures required tributes and head-dresses made of quetzal tail-streamers, but since the birds were considered sacred, the penalty for killing one was death. Inspired by this, on my arrival back to the UK I began taking the first steps to build Critics Clothing. My initial thoughts were that I wanted people to feel empowered when wearing my brand. A sense of belonging to my brand lifestyle, without actually feeling owned. I wanted people to feel important, to believe that they are unique, and to have their own identity within society. 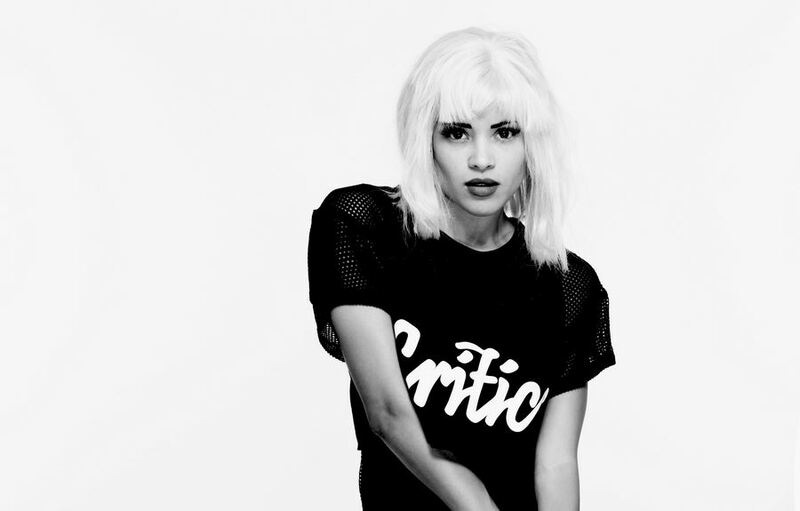 “Critics” wasn't the initial first name of the brand Critics Clothing, it had a couple of pre-run names before that, but Critics just really stuck. It means more to me than just a word: it asks “Who is in control of your life, and who are the Critics?” Retrospectively speaking, I believe it’s super important to think about the brand name. This is something that must reflect no only what your company stands for, but what you also stand for as the brand owner. With this concept in mind, I began working, eating, and breathing Critics Clothing. I used my previous platform and my network, ranging from models, to photographers and industry influencers, as gateway entry to starting Critics Clothing. I took everything I knew about marketing and branding with me and began building the brand. I didn’t calculate any risk factors when I first started Critics Clothing because I really believed in just going out there and not taking “No” for an answer. Be authentic to yourself - you owe it to yourself to be unapologetically you. Every time you get knocked down just pick yourself up, dust yourself down and keep going.